Storm clouds begin building over Dallas at about 2 p.m. Wednesday. 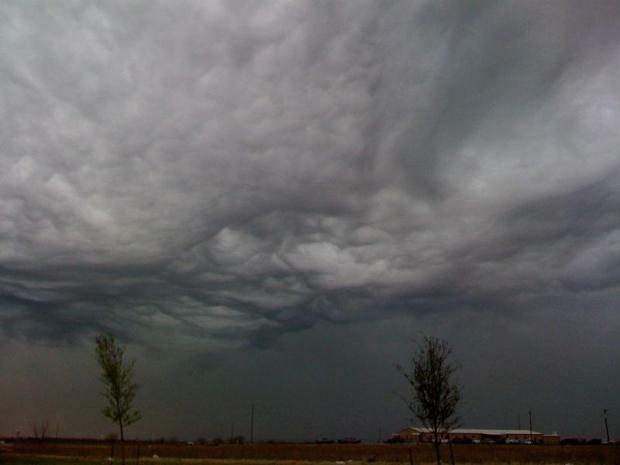 North Texas saw storm clouds and heavy downpours rumble in on Wednesday. Severe storms began moving into North Texas early Wednesday afternoon, bringing heavy rain, high winds and pea- to penny-sized hail through parts of Dallas-Fort Worth. The storms began popping up on radar just after noon in Palo Pinto and Parker counties. By 1:30 p.m., the storms had grown across Wise, Tarrant, Denton and Collin counties. The rain had moved east of Dallas by Wednesday evening, and no additional rain is expected in the Metroplex. Dallas-Fort Worth International Airport had a ground stop in effect Wednesday afternoon. For up-to-the-minute flight information, visit www.dfwairport.com. 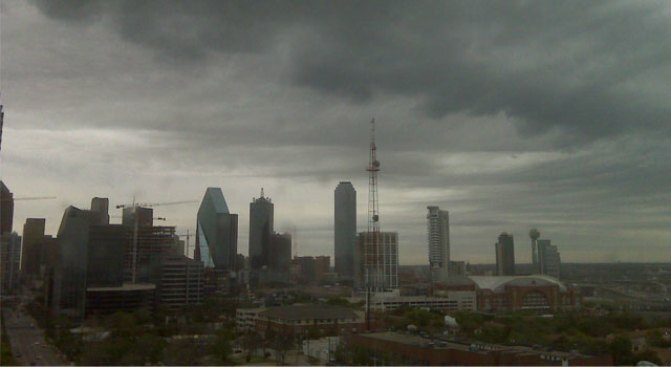 Hundreds of NBCDFW.com viewers have submitted their photos of the storm clouds rolling in across the area. To share yours, please send images or video to isee@nbcdfw.com or click here.